PleaseStand created T200973: XSS in I18nTags extension tag hooks. PleaseStand closed T173601: CollationFa needs some clean up as Declined. CollationFa was removed in 5a21de8abb7f03e72a07d8578babc1835dff4a64, because it is no longer necessary. RandomDSdevel awarded T67297: Remove $wgBrowserBlackList and associated EditPage methods a Mountain of Wealth token. Base awarded T67297: Remove $wgBrowserBlackList and associated EditPage methods a Pterodactyl token. Krinkle awarded T67297: Remove $wgBrowserBlackList and associated EditPage methods a Party Time token. jcrespo awarded T50767: Support 'utf8mb4' character set in MySQL 5.5 and above a Like token. PleaseStand closed T141286: Update site CSS customizations for the new change screen in Gerrit 2.12 as Resolved. Marking this resolved because I can't think of any other customizations that would have to be fixed. PleaseStand added a comment to T141286: Update site CSS customizations for the new change screen in Gerrit 2.12. Would you show me what css to use please from the above. PleaseStand claimed T127355: Update PHP section of "Compatibility" page on mediawiki.org. PleaseStand added a comment to T141490: Deploy improved FancyCaptcha. PleaseStand closed T78513: maintenance/tables.sql contains wrong indeces (compared to patch-pl-tl-il-unique-index.sql) as Resolved. PleaseStand added a comment to T140864: Incorrect calls of header () breaks saving some pages. No issue for me on master / HHVM 3.4.13. PleaseStand closed T127063: HHVM compatibility in RELEASE-NOTES is a little confusing as Resolved. This was fixed in rMW8a5595f4bd4b904b. Hi ive uploaded two commits which should fix your issue, are you still having the same problem? PleaseStand added a subtask for T141297: Gerrit breaks Firefox keyboard shortcuts: T141245: Update gerrit to 2.12.3. PleaseStand added a parent task for T141245: Update gerrit to 2.12.3: T141297: Gerrit breaks Firefox keyboard shortcuts. PleaseStand created T141297: Gerrit breaks Firefox keyboard shortcuts. PleaseStand added a subtask for T141237: Gerrit cant search for changes having a label score of 0: T141245: Update gerrit to 2.12.3. PleaseStand added a parent task for T141245: Update gerrit to 2.12.3: T141237: Gerrit cant search for changes having a label score of 0. PleaseStand removed a parent task for T141237: Gerrit cant search for changes having a label score of 0: T141245: Update gerrit to 2.12.3. PleaseStand removed a subtask for T141245: Update gerrit to 2.12.3: T141237: Gerrit cant search for changes having a label score of 0. PleaseStand created T141286: Update site CSS customizations for the new change screen in Gerrit 2.12. PleaseStand added a comment to T62677: Disable Esperanto conversion on Esperanto wikis. PleaseStand closed T139559: Fresh 1.27.0 install: ParameterAssertionException: Bad value for parameter maxKeys: must be above zero as Declined. There should be no way this backtrace could have been generated unless the value of the constant INF is not greater than 0, and that should not happen. PleaseStand created T139254: Review all parent-child task relations for accuracy. PleaseStand added a comment to T137642: IcuCollation sort keys depend on PHP/HHVM version. @PleaseStand I think we can simply backport the patch to our current version of HHVM, by the way, in order to make the behaviour consistent. We won't need to remove the null byte then, AIUI. Or rather, trimming the null byte off in IcuCollation should address the major problem with CategoryViewer's pagination on frwiki. [...] The script would be to ensure that the duplicate sort key case is handled consistently throughout a site. PleaseStand updated the task description for T138031: Category sort keys can exceed the capacity of cl_sortkey, yet that is not correctly handled. [...] more reason to create a script that will quickly fix the issue. PleaseStand added a comment to T137984: Determine total number of external links in all Wikipedias. PleaseStand created P3271 External links on fywiki and enwiki. PleaseStand created T138094: Consider changing UCA category sort key format to handle sort key prefixes correctly. PleaseStand created T138047: Deprecated: Use of Linker::link with parameter $query as string (should be array) was deprecated in MediaWiki 1.20. PleaseStand created T138042: Special:UnreviewedPages, when filtering by category, is broken on wikis using UCA category collations. PleaseStand added a subtask for T108255: Enable MariaDB/MySQL's Strict Mode: T138031: Category sort keys can exceed the capacity of cl_sortkey, yet that is not correctly handled. PleaseStand added a parent task for T138031: Category sort keys can exceed the capacity of cl_sortkey, yet that is not correctly handled: T108255: Enable MariaDB/MySQL's Strict Mode. PleaseStand added a subtask for T108255: Enable MariaDB/MySQL's Strict Mode: T112637: RFC: Increase the strictness of mediawiki SQL code and leverage database code blockers for scalability. PleaseStand added a parent task for T112637: RFC: Increase the strictness of mediawiki SQL code and leverage database code blockers for scalability: T108255: Enable MariaDB/MySQL's Strict Mode. PleaseStand removed a subtask for T112637: RFC: Increase the strictness of mediawiki SQL code and leverage database code blockers for scalability: T108255: Enable MariaDB/MySQL's Strict Mode. PleaseStand removed a parent task for T108255: Enable MariaDB/MySQL's Strict Mode: T112637: RFC: Increase the strictness of mediawiki SQL code and leverage database code blockers for scalability. PleaseStand added a subtask for T108255: Enable MariaDB/MySQL's Strict Mode: T67807: Incorrect integer value: '' for column 'af_hidden'. PleaseStand added a parent task for T67807: Incorrect integer value: '' for column 'af_hidden': T108255: Enable MariaDB/MySQL's Strict Mode. PleaseStand removed a parent task for T108255: Enable MariaDB/MySQL's Strict Mode: T67807: Incorrect integer value: '' for column 'af_hidden'. PleaseStand removed a subtask for T67807: Incorrect integer value: '' for column 'af_hidden': T108255: Enable MariaDB/MySQL's Strict Mode. PleaseStand created T138031: Category sort keys can exceed the capacity of cl_sortkey, yet that is not correctly handled. Stripping it may be ok for newer , but may present an issue to those running older PHP/HHVM versions. Depends on how exactly the keys are used - what the lifecycle is, I guess. PleaseStand added a comment to T137958: "$1" shows instead of username in reset password error message. PleaseStand closed T137958: "$1" shows instead of username in reset password error message as Resolved. PleaseStand renamed T137958: "$1" shows instead of username in reset password error message from Password reset interface to "$1" shows instead of username in reset password error message. PleaseStand created P3259 (An Untitled Masterwork). PleaseStand updated the task description for T137642: IcuCollation sort keys depend on PHP/HHVM version. PleaseStand created T137642: IcuCollation sort keys depend on PHP/HHVM version. PleaseStand updated subscribers of T59184: cl_collation index redundant. Per T130692, the cl_collation_ext index was added to Wikimedia databases for use by updateCollation.php. @jcrespo, has the old cl_collation index been removed everywhere, including on the sites that the new index had already been added to? If so, this task can be closed. PleaseStand created T136561: Two page titles on zhwiktionary inaccessible after ICU upgrade (to 52.1). PleaseStand added a comment to T86096: Switch HAT appservers to trusty's ICU (or newer). This might result in inconsistent normalization when some inputs contain invalid UTF-8 sequences yet do not contain any character having, according to Unicode 6.0, a non-zero canonical combining class or an NFC_QC value of No or Maybe. I'd guess it's probably not a blocker since we probably use the intl extension rather than those data tables on the cluster, and the same for the Scribunto bits. So it's probably more of a cleanliness thing. PleaseStand created T133830: Unmerged changes in Gerrit should not autoclose Phabricator tasks. PleaseStand added a comment to T125323: Sitenotice message sometimes shown at bottom of site for readers / logged-out users. Florian's change was abandoned and not merged, so reopening. PleaseStand reopened T125323: Sitenotice message sometimes shown at bottom of site for readers / logged-out users as "Open". The patch I uploaded fixes the reported issue by removing the document.write() wrapper around the site notice HTML. However, there is a concern that this would cause the site notice to be indexed and displayed within search engine snippets. I do not know of a way I can confidently avoid this problem. PleaseStand added a comment to T121793: 'Not logged in' without link is counterintuitive. I did some mockups of the various possibilities to get an idea of what we are talking about. PleaseStand added a comment to T85696: Allow action=purge to recalculate the number of pages/subcats/files in a category. That is worrying- with InnoDB, while inside a transaction, you do not need to lock the rows- it should get consistent reads automatically. Without locking, pages getting added and removed from the category while the SELECT gets the new counts will not be counted correctly. PleaseStand added a comment to T128167: Tag versions of IPSet in git. The packagist page https://packagist.org/packages/wikimedia/ip-set has 1.0 and 1.0.1 listed. I am not sure how from where they come from. PleaseStand added a comment to T58041: updateCollation.php script prohibitively slow for very large wikis. PleaseStand created T127445: Improve default choice of PBKDF2 parameters. PleaseStand added a comment to T127355: Update PHP section of "Compatibility" page on mediawiki.org. I added the 1.27 PHP compatibility information (diff), though have not yet reviewed the existing information for accuracy. I have not added HHVM information because it is not clear what the minimum supported version of HHVM is; RELEASE-NOTES-1.27 is currently inconsistent on the matter. PleaseStand created T127420: Pbkdf2Password does not check if hash_pbkdf2() succeeded. PleaseStand added a comment to T126495: IPSet::__construct() in gets into infinite loop when called from curl on a CI host. Circling back around to this and looking again: of course it's possible that a better answer here is to refactor recOptimize and recCompress to use loops in place of recursion. In theory, recursive things can always be rewritten as loops that maintain some kind of state-stack variable, e.g. an array stack that grows by one entry for each virtual level of recursion in the loop. PleaseStand renamed T84857: Can't search for the number "0" by itself, outside quotes from Can't search for the number "0" outside quotes to Can't search for the number "0" by itself, outside quotes. PleaseStand reopened T84857: Can't search for the number "0" by itself, outside quotes as "Open". [0 prefix:mathie](//en.wikipedia.org/wiki/Special:Search/0 prefix:mathie) shows the 68 of the 183 pages in that prefix. Option #1 was implemented in 4479c9f309c0. PleaseStand added a comment to T108811: DismissableSiteNotice uses document.write. @Jules78120 reported an issue with MediaWiki:AnonNotice on the French Wikipedia today, where the notice was added at the bottom left of the page and not at the top. Could this be related to the use of document.write as well? PleaseStand created T119173: Avoid MySQL's ENUM type, which makes keyset pagination difficult. PleaseStand updated the title for P2336 ENUM is broken in MySQL / MariaDB from ENUM is broken in MariaDB to ENUM is broken in MySQL / MariaDB. PleaseStand updated the title for P2336 ENUM is broken in MySQL / MariaDB from untitled to ENUM is broken in MariaDB. PleaseStand created T119160: MySQL's TIMESTAMP type is affected by server time_zone setting. PleaseStand added a comment to T118413: Wikimedia wikis should use https:// in $wgServer. PleaseStand updated subscribers of T39665: IPTCTest::testIPTCParseForcedUTFButInvalid failure on PHP with buggy glibc (iconv //IGNORE broken). 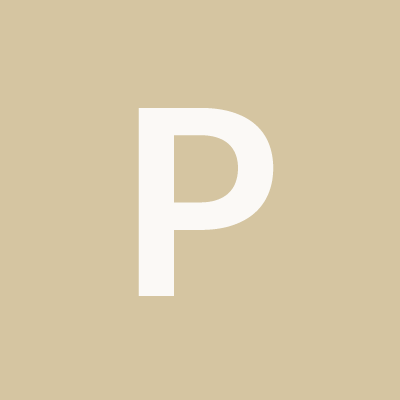 PleaseStand merged task T116705: IPTCTest::testIPTCParseForcedUTFButInvalid failure in iptcparse() into T39665: IPTCTest::testIPTCParseForcedUTFButInvalid failure on PHP with buggy glibc (iconv //IGNORE broken). PleaseStand edited subtasks for T108255: Enable MariaDB/MySQL's Strict Mode, added: T67807: Incorrect integer value: '' for column 'af_hidden'; removed: T115063: Creating an abuse filter fails when MariaDB's strict mode is enabled. PleaseStand removed a parent task for T115063: Creating an abuse filter fails when MariaDB's strict mode is enabled: T108255: Enable MariaDB/MySQL's Strict Mode. PleaseStand updated subscribers of T67807: Incorrect integer value: '' for column 'af_hidden'. PleaseStand merged task T115063: Creating an abuse filter fails when MariaDB's strict mode is enabled into T67807: Incorrect integer value: '' for column 'af_hidden'. PleaseStand added a subtask for T108255: Enable MariaDB/MySQL's Strict Mode: T115063: Creating an abuse filter fails when MariaDB's strict mode is enabled. PleaseStand added a parent task for T115063: Creating an abuse filter fails when MariaDB's strict mode is enabled: T108255: Enable MariaDB/MySQL's Strict Mode. PleaseStand created T115063: Creating an abuse filter fails when MariaDB's strict mode is enabled. PleaseStand edited projects for T114983: Book creator: cache problem, added: Collection; removed MediaWiki-Cache, MediaWiki-extensions-BookManager.